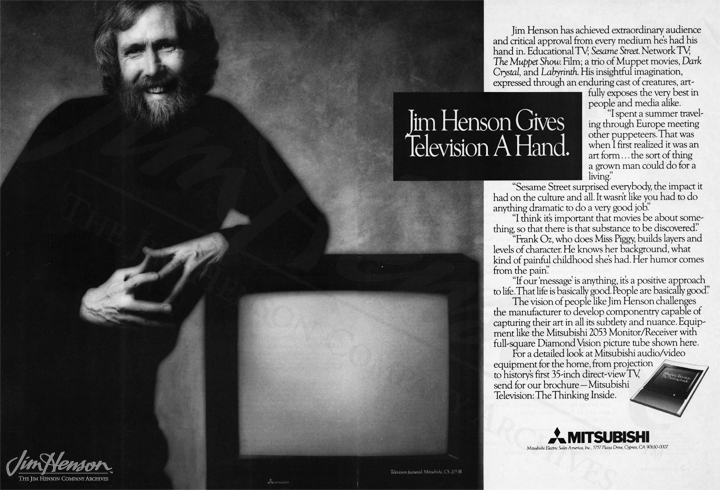 Jim in a Mitsubishi Television print ad, 1986. This entry was posted in 06-June '88, 1988, Appearances and tagged American Film Institute. Bookmark the permalink.